Your photos and emails flow in regularly and I am honored to hear from you. Thank you for keeping in touch. Special thanks to readers “S.P.” and Bill Young at BillYoungImage.com for recently sending me these pictures below. I hope you enjoy them. 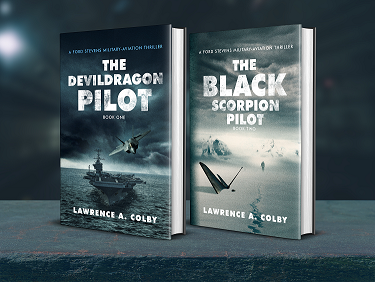 Quick update on “The Black Scorpion Pilot: Book 2“… book is complete and going through the approval process. All the main characters are back! New character alert: Mark Savona’s girlfriend, Jeanie!